When a company fulfills their manufacturing and supply contracts with expediency and reliability, one of the resultant rewards can certainly be a follow-on order. The Satcom Division of Communications & Power Industries LLC (CPI) has been awarded such a follow-on order, a competitive contract valued in excess of $1,000,000 (at list prices) from an African integrator for the company’s 1.25 kW, DBS-band SuperLinear® traveling wave tube amplifiers (TWTAs) and related system hardware. Communications & Power Industries Satcom Division's 1.25 kW DBS-band SuperLinear Outdoor TWTA. CPI’s products will be part of a primary uplink system in a well-established, DTH network in Africa. CPI’s SuperLinear high-power amplifier (HPA) was selected over competing products, in part, due to the product's patented LifeExtender™/LifePredictor technology, which can result in an increase of up to 50 percent in tube longevity. In addition, the customer indicated that they selected CPI because CPI’s 1.25 kW DBS-band TWTA represents the best all-around solution for their specific application in terms of size and weight and is equivalent in linear power to competing products advertising higher RF power levels. 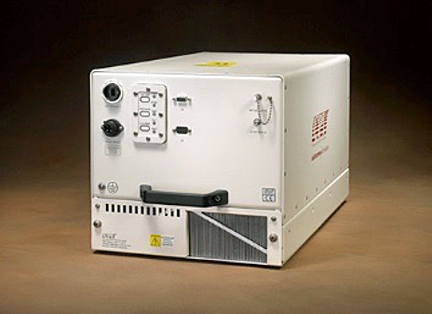 CPI is one of the largest manufacturers of high-power communications amplifiers and the firm's broad line of HPAs includes solid-state power amplifiers (SSPAs), TWTAs and klystron power amplifiers (KPAs). The company’s amplifiers are used around the world in fixed and mobile gateways for military and commercial applications. CPI offers amplifiers in frequencies from S-band to V-band and supports all of their fielded products through more than 20 service centers around the world.